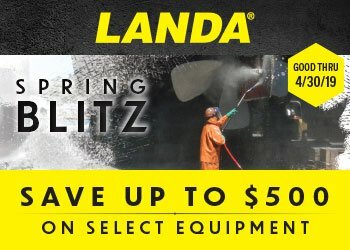 Landa’s flagship series of cold-water pressure washers, the Landa PG Series is the most popular machine for everyday use in a variety of industrial cleaning applications. Each has a rugged chasis, 13″ tires for easy maneuvering over all types of terrain, and shock absorbing, spring loaded rubber feet to cut down on vibration. Handles on the front and back are easy to grip, so you won’t have a problem loading or unloading these machines. Note: Cannot be sold in California. Sorry. 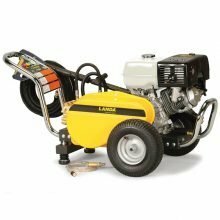 The flagship cold water pressure washer for Landa.